What a big surprise! 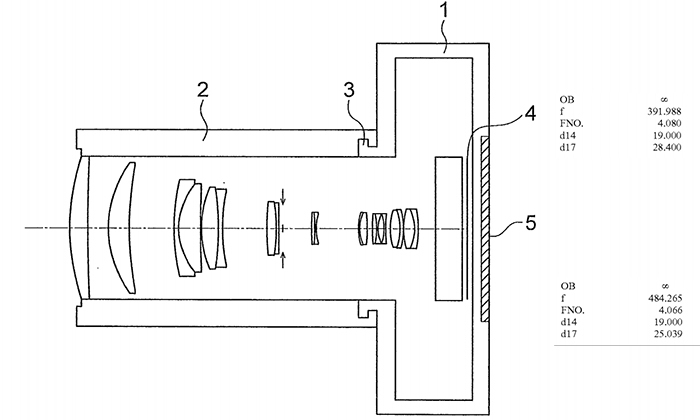 This is the patent of two Olympus new super telephoto lenses: Olympus 400mm F4 and Olympus 500mm F4! As usual, we don’t know whether and when such lenses will be announced. However, as wildlife photographs are definitely to use M4/3, I think Olympus is reasonable to launch such a super telephoto lens. So far, there are two super telephoto M4/3 on the market: Olympus 300mm F4 (Amazon/B&H/Adorama) and Panasonic 100-400mm F4-6.3 (Amazon/ B&H/ Adorama). With the addition to this Olympus 400mm F4 and 500mm F4 lenses if they are made, the super telephoto range seems to be a lineup with satisfaction. Because Olympus has very strong camera shake correction, it seems that you can swing it by hand even with 500 mm (equivalent 1,000 mm)!